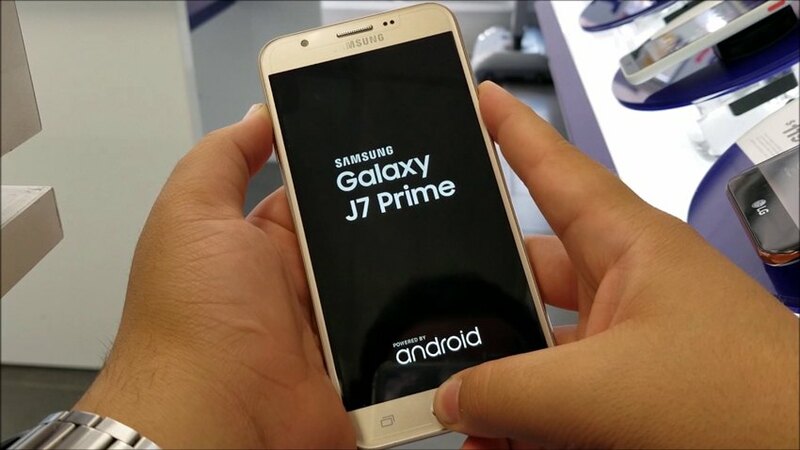 DroidDosh.com - How to install the stock firmware on Galaxy J7 Prime SM-J727T1. You can simply flash the stock firmware on your Galaxy J7 Prime SM-J727T1 (MetroPCS) device using the Odin firmware flashing tool for Samsung. In this post, we will share a quick guide about how to install stock rom/firmware on Galaxy J7 Prime SM-J727T1 (MetroPCS) using the Odin tool. So, let’s see how to use Odin tool to flash stock firmware on your Galaxy J7 Prime MetroPCS. Windows PC to install Samsung Odin software. Go to Settings > Developers options on your device and enable USB Debugging. Please note flashing an incorrect file may result in a boot loop or brick your device, so be extra careful. In any case, you only are responsible for your device. We won’t be liable if any damage occurs to your device and/or its components. Extract the firmware file that you have downloaded using Zip extractor. You should get a file in .tar.md5 format now. You may get 4 or more files, with AP, BL, CP or CSC etc. written at the beginning of those files. Extract the ODIN zip file. Make sure your Galaxy J7 Prime is disconnected from the PC or Laptop. Then, boot into the Download mode. To do so, power off your device and then press and hold the Volume Down + Home + Power buttons at the same time. Keep the keys pressed until you see the warning screen and then press the Volume Up key to enter the Download/Odin Mode. You cannot proceed until you get the “Added! !” message which confirms that Odin has recognized your device. If you don’t get the “Added! !” message, you need to install/re-install the drivers again for your device, and you should use the original cable that came with your device. Once the device is recognized, load the firmware file that you have extracted into Odin. To do so, click the AP button on Odin and then select the .tar.md5 file from above. If you got a single .tar/.tar.md5 file, then load this into AP tab of your Odin software. To load the file, click on AP tab, select the single firmware file starting with AP text, wait for it to load. If you got more than one .tar/.tar.md5 file, then you must be having files starting with AP, CSC, Home_CSC, BL, CP, etc. stuff. In this case, choose the files as following. Select the firmware files as follows. Click on CSC tab, and select the file beginning with HOME_CSC text. If HOME_CSC file is not available, then select the file beginning with CSC text. Using the HOME_CSC file won’t reset your device, and data on the phone shouldn’t be deleted. However, when we select regular CSC file, and it results in CSC on the device being different than that in CSC file, your phone will be formatted automatically. You can even choose to ignore loading the CSC file, that may do alright too. But if it doesn’t work out, repeat the whole process and select CSC file this time around. When you load files, Odin checks the md5 of firmware file, which takes time. So, simply wait until that’s done and the firmware file is loaded. Don’t worry if Odin gets unresponsive for a while, it’s normal. Binary size will also show up in Odin. Click on the Options tab (next to Log), and make sure the Re-partition checkbox is NOT selected. Don’t use PIT tab, ever. Go back to Log tab now, as it will show the progress of firmware installation when you hit the start button in next step. Verify that everything is okay as mentioned above. When satisfied, click the Start button on Odin to start flashing the firmware on your device. Wait till installation is finished, after which your device will reboot automatically. You’ll get PASS message upon successful installation from Odin.